Note: Click on small image to view larger image. 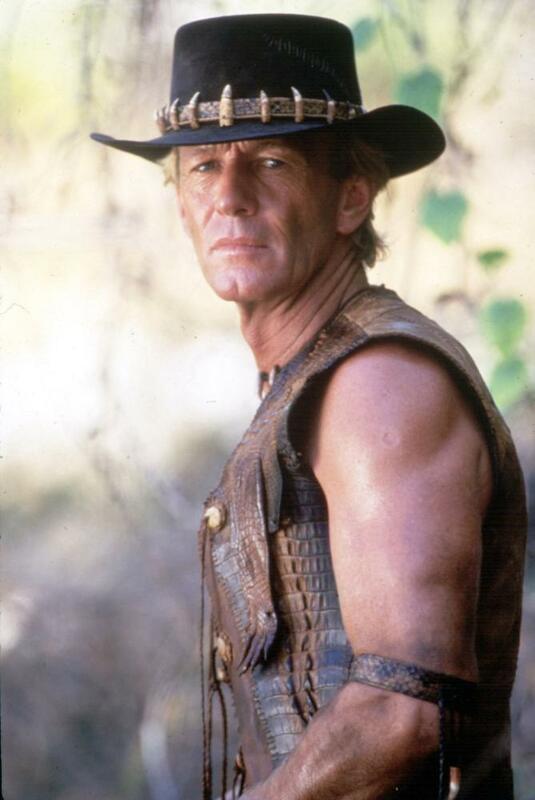 The Crocodile Dundee Hat was made famous by Mr. Paul Hogan in his three well-known films as the crocodile wrangler. Being allegedly born in a cave in the Northern Territory of Australia and being raised by Aborigines, people indigenous to the Australian Continent, Dundee had a great passion for the Outback and the dangers that came with it. 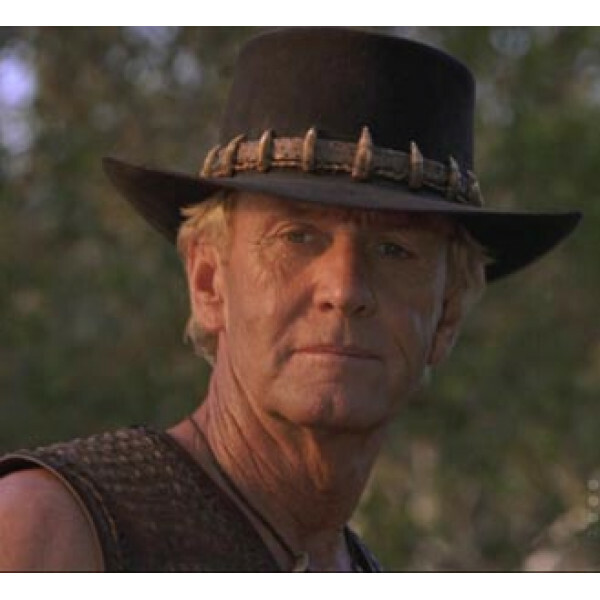 Crocodile Dundee portrays the Australian image through a typical bushman. Encounters with saltwater crocodiles have left him a large scar and many stories to tell. 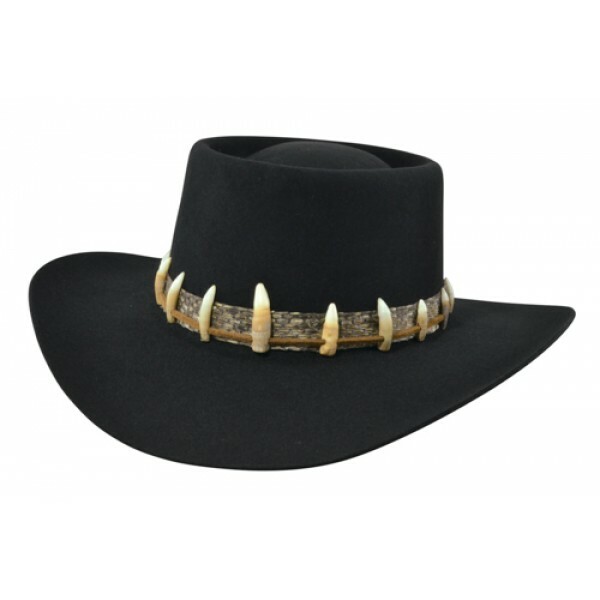 Our famous Crocodile Dundee Hat was inspired by the classic Australian Outback Style, which is well known for the genuine crocodile teeth surrounding the band. We have done the work for you and have custom designed a line of hats made popular in this classic Australian Outback film. All hats are shaped by hand, by our hat experts. 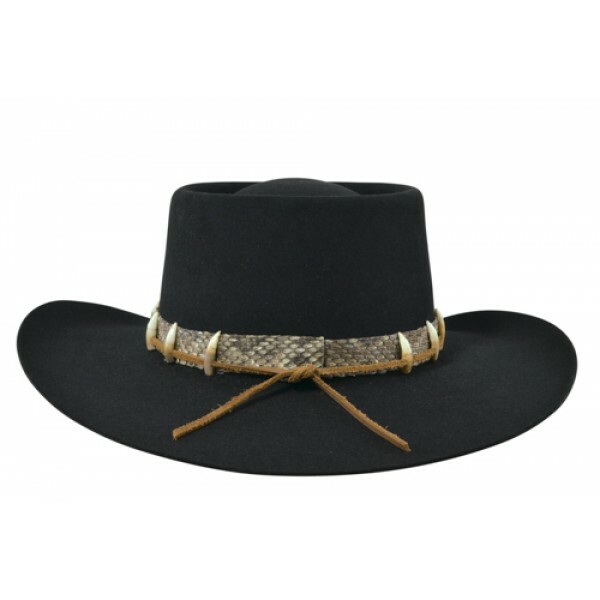 Your hat arrives at your door shaped and ready to wear. 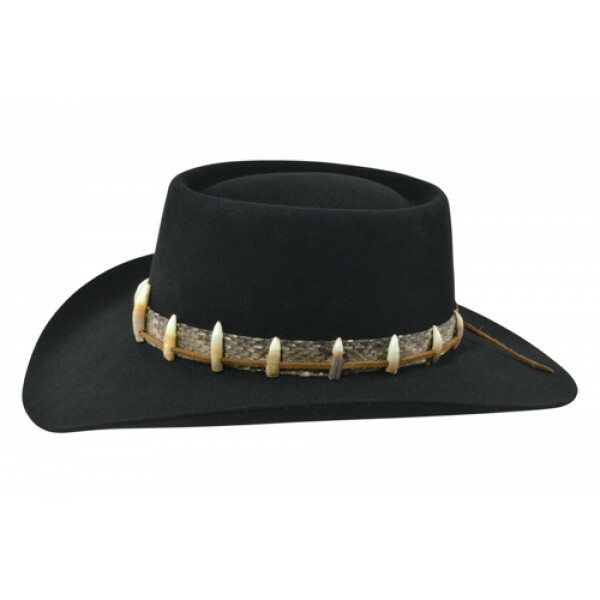 Miller Hats takes pride in providing customers with the finest quality hats. Brim Size --- Please Select --- 3" 3 1/4" 3 1/2"
Crown Height --- Please Select --- 4" 4 1/4" 4 1/2"